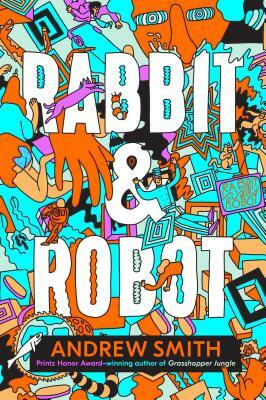 Rabbit and Robot by Andrew Smith is the most twisted and disturbing book I have ever had the pleasure of reading. Generally, when you hear, “the last five living humans trapped on a space cruiser orbiting the moon surrounded by cannibalistic robots who are either extremely happy, angry, depressed, know it all’s, or horny” you probably think something along the lines of “ummmm.... what?” Which would be the right reaction. However, this humorous book is filled with wonderfully flawed characters, a steady and well moving plot, and crazy surprises to keep you hooked. It almost has a Heathers-ish vibe, making you question whether you should actually be enjoying it at all. Though this book won’t appeal to everyone, I would definitely recommend it to those who are looking for something new and VERY unique, as well as with a relatively dark sense of humor. I really liked this book, and would definitely read it again.